The Symmetry of the Sumac . 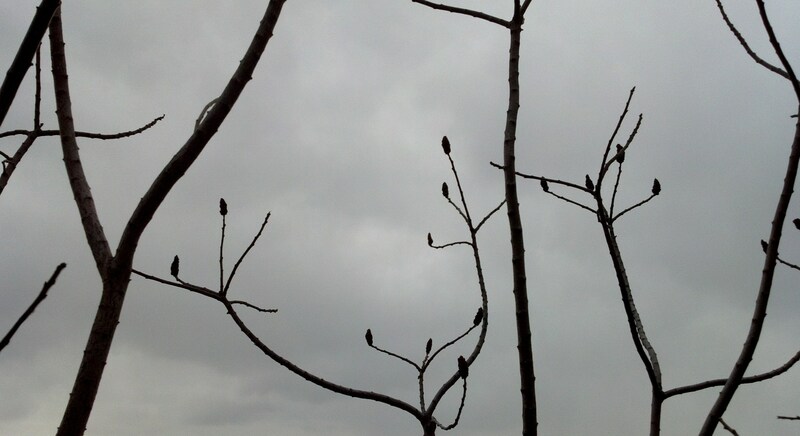 . .
A gray windy day in January is one of the few times one can find solitude on the High Line. During a walk there this week, I found time to watch and to listen to this outdoor space on its own, without the hum and hover of humanity. I perceived that there must be as many varieties of brown in January as there are green in June. The wind sounding through the dry stalks and branches contained as many subtle tones as the murmur of multiple conversations. What stood out the most to me was found in the basic forms of the plants. The skeleton, the architecture, of a flower, shrub, or tree is delineated at this time of year. One of the most impressive examples of such naked form can be seen in the Smooth Sumac, Rhus glabra. A native shrub family, Anacardiaceae, found throughout the eastern United States, the sumacs are known more for their summer and autumn dress: the feathery, serrated, compound leaves that turn crimson in October. The Smooth Sumac commonly forms colonies from its root system, often along roads and railways, making its appearance on the High Line both appropriate as well as aesthetically pleasing. The Smooth Sumac is also one of the most distinctive flowering trees. The large upright panicles are the color of rich Chianti. These clusters of drupes (seeded fruits) are edible, and can be picked and soaked in cool water to make a refreshing sumac-ade. One recipe for “Wild Smooth Sumac-ade” was described by the Staten Island nature writer Ava Chin in her “Urban Forager” column for The New York Times. 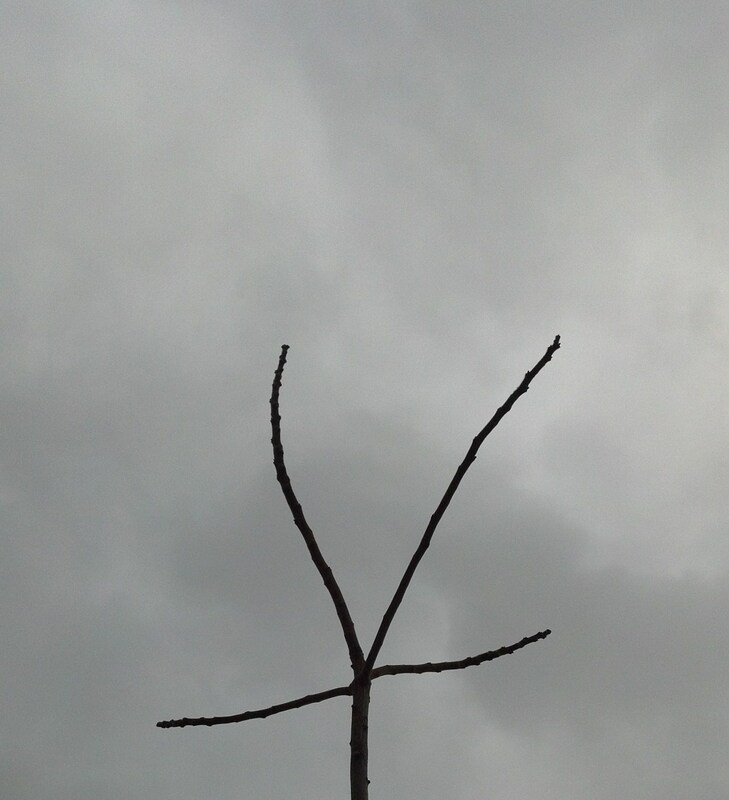 A group of panicles silhouetted against the leaden sky caught my eye, gave me inspiration and a subject for a winter wildflower. I paused in the wind, which was making whitecaps on the steel-colored Hudson in the background, and there I contemplated the forms of the Smooth Sumac branches. I was delighted by the symmetry of the tips, which spread like the pointed fingers of an open hand. 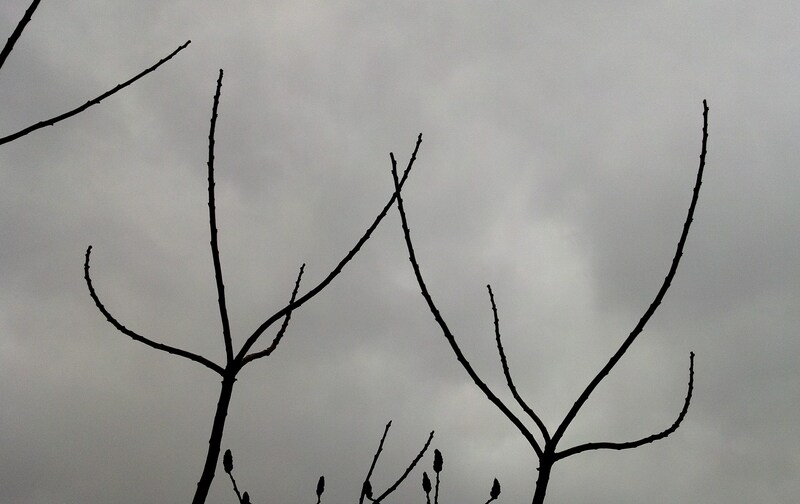 I noticed also that the branches did not just spread opposite and parallel, like arms and hands. The fingered projections themselves were twisted and bent in the exact same manner as well. The Classical orders of architecture, the Doric, Ionic, and Corinthian being basic examples, were derived by the Greeks and Romans from organic forms. The Smooth Sumac, in winter, reminded me that humanity with its mathematics does not possess a monopoly on graceful, even symmetrical, functional form. Fodder for natural philosophical thought as the annual and perennial wildflowers hibernate.